International Brand Builders Inc (IBBI) is focusing on innovation this year, bringing new collections to the 2019 Summit and adding new brands to its “affordable luxury” portfolio. Infinity & Co England: Infinity & Co recently partnered with IBBI to expand its distribution in the Americas. 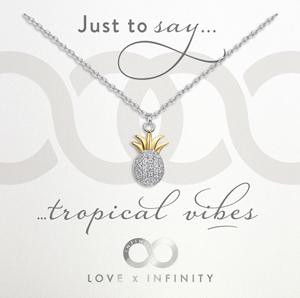 The company offers two unique brand lines: I & Co fashion jewelry at affordable prices and LXI message jewelry gifts-on-cards that offer retailers a chance to personalize messages unique to their destination. “With more and more retailers focusing on sense of place, LXI is the perfect combination of souvenir and high-quality jewelry,” stated IBBI president, Kathrine Sleipnes. “Working closely with the designers to develop items relevant to our market is a plus, and we are looking forward to sharing these and other trendsetting products with our partners soon,” she added. 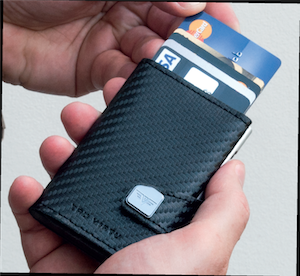 Tru Virtu Hi -Tech Wallets: Tru Virtu is an innovative premium accessory brand from Germany, focused on wallets that protect against illegal data theft of NFC / RFID chips and card demagnetization. The minimalistic design of the new Tru Virtu Click & Slide wallet offers quick access to cards and money while being not much larger than a credit card itself. IBBI will also showcase new mobile phone holders. 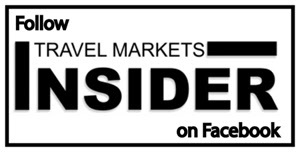 “We are excited to launch in the Americas and build on their global success onboard airlines and in other regions. We believe this is the new trend for the future and are excited about the possibilities,” Sleipnes notes. 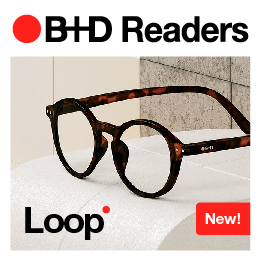 B+D Screen– Blue Ban: The B+D Blue Ban readers offer a trendy design that combines fashion and eye care, using high-quality lenses with a special protective coating that filters the blue light emitted from digital devices. They help reduce eye strain, redness, irritation, or dry eyes, and provide UV 400 protection. The readers are available in all magnification strengths as well as zero magnification for younger eyes. Morgan & Oates: Capitalizing on the success of its newly launched beachwear range, scarf specialist Morgan & Oates will be returning to the show with an array of tropical cotton sarongs. 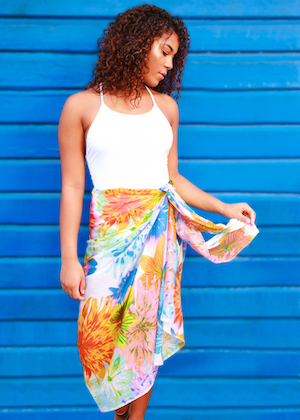 Made from soft breathable cotton, the sarong is versatile and can be tied and draped in a variety of ways, making it the ideal accessory for any traveler in the sun or on the plane. New designs and colors have also been added to Morgan & Oates ‘favorite’ wraps and scarves, with styles to suit both men and women. Building on the success of the Lambretta watches, IBBI and Capella are launching the new Tick & Ogle time pieces that focus on fashion at a friendly price point. The brand Tick & Ogle was created to meet the needs of a fashion-conscious and value-driven consumer, making it a perfect product line for the Americas. “Starting at only US$29, we believe this will be a strong proposition for our region,” stated Sleipnes. 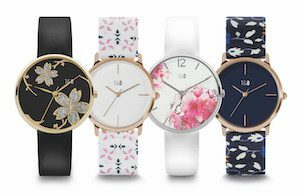 IBBI is also showcasing the new collections from Lambretta- Italy, launched in Cannes, including the MARCO sports watch and Piccolo Women’s additions.